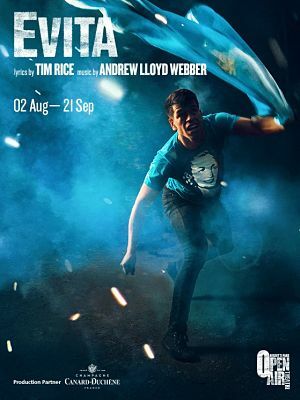 Directed by Jamie Lloyd, who was previously assistant director on Michael Grandage's production of Evita in the West End in 2006 and is currently overseeing the Pinter at the Pinter season in the West End. Lloyd. Fabian Aloise will provide the choreography. Evita tells the life story of the extraordinary Eva Peron (second wife of former Argentine dictator Juan Peron - played by Madonna and Antonio Banderas in the film of the same name) following her acting career, rise to power, charity work, feminist involvement and eventual death. She gained enormous wealth and power during her ultimate rise to sainthood. Samantha Pauly a Puerto Rican-Native American from Chicago, will portray Argentinian first lady Eva Peron with Trent Saunders as Che, Ektor Rivera as Peron with Mayli McCann as The Mistress. Samantha's most recent musical theatre credits include playing Eva in Evita in the US, Raven in the US tour of Bat Out of Hell and Catherine Howard on Six the Musical for the Chicago Theatre Company. It features some of the biggest hit songs ever written, including Don't Cry For Me Argentina, On This Night Of A Thousand Stars, Another Suitcase In Another Hall, I'd Be Surprisingly Good For You, High Flying Adored and Oh What A Circus. Parking is free on the Inner Circle, Chester Road and Outer Circle after 18:30. Car Parks: Devonshire Row Mews Pure Parking & Euro Car Parks in the Euston Road – both about an 11 minute walk away. An FM assisted listening system is available for people with hearing impairments. 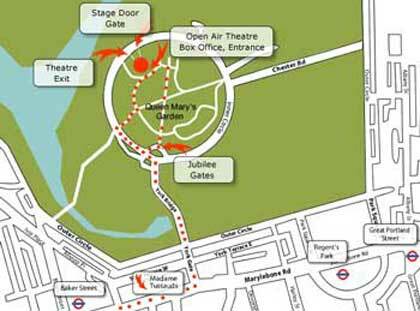 Please request a handset from the Open Air Theatre Box Office when booking. A returnable deposit of £5 is requested. The theatre is fully accessible to people with reduced mobility. There are spaces in the auditorium for wheelchair users and their companions.